This update is FREE if you've purchased a license for Jettison. If you bought Jettison from St. Clair Software, just download version 1.6 and replace your existing copy, or choose "Check for Updates" from Jettison's menu in your menubar. If you purchased Jettison through the Mac App Store, please run this version of Jettison once BEFORE you delete or overwrite the old copy of Jettison in your Applications folder. If Jettison is still telling you your trial period is over, please follow these instructions. Corrected a bug that could prevent Jettison from saving your license information after you entered your serial number. This would prevent your name from appearing in the "Licensed to:" section of the About box and could cause Jettison to repeatedly prompt you to buy it even after you already had. 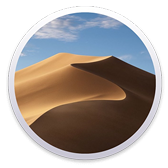 Jettison fully supports macOS 10.14 Mojave. A single menu command will mount all unmounted disks. When the machine 'dark wakes' for Power Nap or network activity, Jettison prevents the mounting of all disks except Time Machine backup drives. This prevents spurious "disk ejected improperly" errors. You can turn Notification Center notifications on and off in your Jettison preferences. Jettison's AppleScript commands will now eject and remount all disks if you don't specify one. Improved the handling of disk images that have been unmounted but not ejected. There's now an option not to remount specific disks after ejecting them. Handling of wake-ups for system maintenance has been improved. Remounting ejected disks is more reliable. Jettison's error window can no longer be hidden behind application windows in Full Screen mode. This eliminates a situation that caused items in Jettison's menu to be grayed out. Fixed a problem that could cause a valid serial number to fail when pasted into the license window without hyphens in the number. Corrected a compatibility issue with macOS 10.13 and 10.14 that could result in the Mac sleeping and immediately waking up over and over. Fixed a bug that made the "Quit" buttons work intermittently when Jettison prompts you to quit applications that are preventing a disk from being ejected. If you upgraded from an existing Mac App Store license, Jettison now correctly shows that in its About box. Eliminated a crash that occurred if Jettison encountered a disk with unnamed partitions on it. Several user interface issues have been resolved.